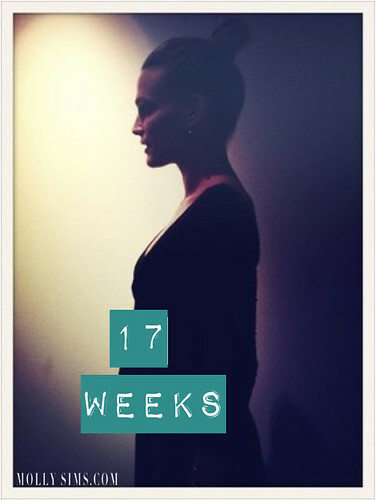 I thought it would be fun to document my baby bump on the site each month, starting today. That way all of you can see how far along I am, and I’ll have all of the pictures to look back on once the little bun in the oven arrives. I’ve created an album on my profile page, but you must be a MollySims.com member to view it. If you haven’t already, click here to sign up for an account and then click HERE to see my four-months-along belly! Otherwise, just click here to see my first official baby bump photo! P.S. For all you mommies—when did you really start showing?